The $90 bln chipmaker’s $44 bln purchase of its rival could die on Wednesday unless Beijing gives it an 11th-hour nod. Traders seem to think that’s unlikely. Going it alone won’t be easy for Qualcomm, but in the 21 months since striking the NXP deal it has not stood still. The logo of Qualcomm is seen during the Mobile World Congress in Barcelona, Spain February 27, 2018. 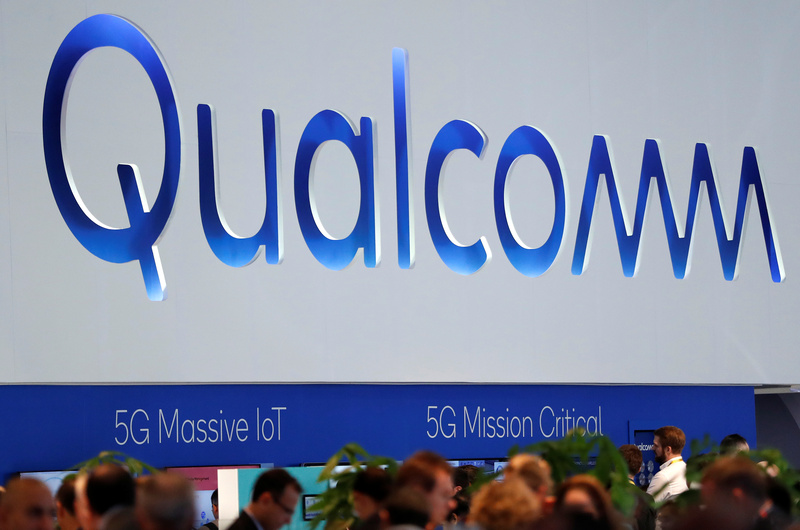 The purchase agreement between Qualcomm and NXP Semiconductors is due to expire on July 25. The companies have agreed that if approval from the Chinese antitrust regulator – the only holdout of nine global watchdogs that needed to approve the transaction – was not received by 11:59 p.m. EDT on July 25, Qualcomm would pay the deal break fee by 9 a.m. the following morning. The acquisition was first announced on Oct. 27, 2016. Qualcomm increased the price of its tender offer to $127.50 a share on Feb. 20, 2018, valuing NXP at about $44 billion. The new end date for the purchase agreement was set on April 19. Qualcomm is also due to report earnings for its third fiscal quarter after the U.S. stock markets close on July 25.